A little while ago, I attended my first Usborne books and more party that my friend hosted and I loved it! I bought a couple of books that Brielle became quickly obsessed with, and I knew I had to host a party of my own, so I could get more books (for free)! I loved every minute of my online party (and even though I have not signed up to become a consultant, I still will gladly promote their product), and I can’t wait to share with you the free books that Brielle and I picked out together for her learning time! Learning is such an essential part of life and it’s so important for children to love to read/be read to, because this is what they are going to be doing for the first 18+ years of their life. Reading challenges a toddler, builds a foundation for success, and a love for learning. This book has such cute graphic and is so age appropriate with Brielle. She loves the flap books! This book is all about problem solving and puzzles. It’s amazing. Brielle gets a little nervous about going to the Dentist, so this is the perfect book to talk about what all happens to other children as they go as well! This book is so much fun because you can actually take band-aids off and stick them on the characters. It’s adorable! This is a book that she will learn how to read herself pretty soon, it’s simple use of words will be perfect for her to learn off of! 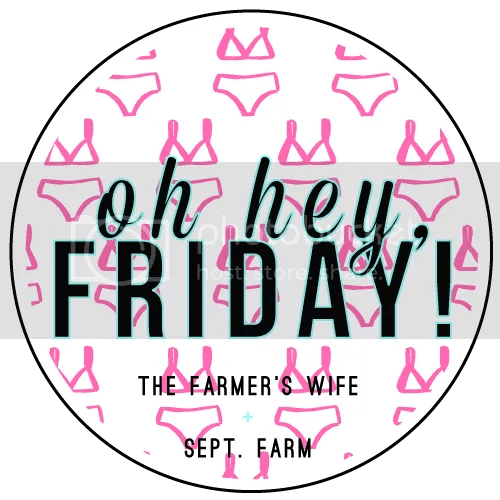 I’m linking up with Karli, who blogs over at September Farm, so head on over to her blog to join the link up party! Happy FRIDAY!! Hope everyone had a great week!